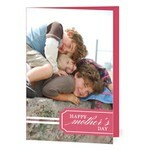 Mother’s Day is coming up and now’s the time that I have to start thinking about cards. (Seriously. If I don’t buy cards soon, I’ll end up buying something really lame the week of Mother’s Day to rush to get into the mail.) Thankfully, Tiny Prints sent me an email today with a pretty cool promotion. And a reminder that their greeting cards company is now called Treat. So now I get to rave about Treat on my blog! First things first, promos. Want a free card? It doesn’t even have to be a Mother’s Day card. Just visit treat.com and use the code “FREETREAT” at checkout. 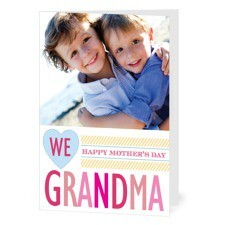 As I was telling you, you don’t have to get a Mother’s Day card. 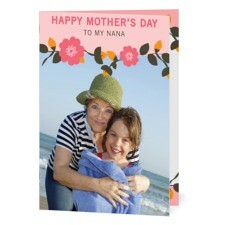 You can get a card for a friend or a birthday card or any type of card. It’s not too early to be thinking about Father’s Day, either. Last year, for Father’s Day, I ordered a card for my husband through Tiny Prints. It featured several of our ultrasound pictures. It turned out so great and I can’t wait to use them again!